IFFEN has been working in the Middle East for the past five years. WETEX provided a rich field for connections and development related to the training institute’s offerings in the United Arab Emirates. During the exhibition, we were honored to welcome former French President Francois Hollande to our booth, accompanied by DEWA CEO HE Saeed Mohammed Al Tayer. 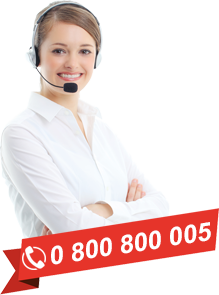 IFFEN CEO Abdoul Benamer talked with them about IFFEN’s economic, social and environmental projects and solutions. IFFEN was equally honored to receive a visit from HH Sheikh Hamdan bin Rashid Al Maktoum, Deputy Ruler of Dubai and Minister of Finance of the UAE. 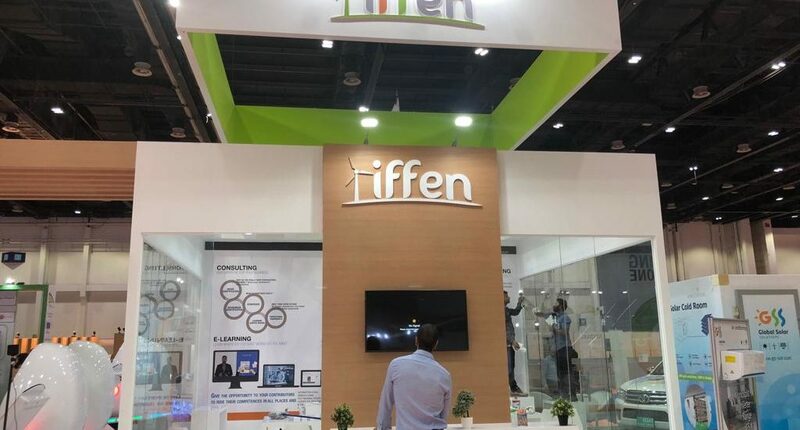 As the Official Training Partner of WETEX and the Dubai Solar Show 2018, IFFEN was pleased to present our energy sector training solutions. Also on display were our innovations in the area of virtual reality trainings. 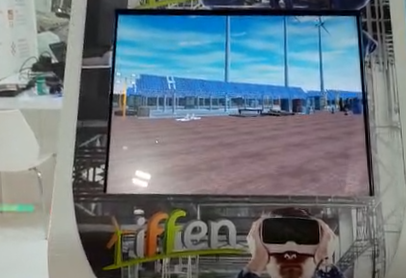 Visitors to the IFFEN booth were invited to experience the unique world of virtual reality and experiment with training modules, like the exploration of a virtual solar park. Our booth hosted Global Solar Solutions (GSS), a core IFFEN partner, demonstrating innovative and reliable solar technology. This included a portable, 100% autonomous solar desalinisation machine, an invention which responds to the need for such technology in areas which are difficult to access, or lack an electric power infrastructure. WETEX 2018 was an opportunity to connect and exchange with key stakeholders in the energy sector. We departed from Dubai with a strengthened, deepened network of global ties, particularly in the Middle East.